On Monday, the governor signed into law a dozen medical marijuana-related bills. Gov. Asa Hutchinson has signed into law a dozen bills aimed at regulating the state's voter-approved medical marijuana law. Bills that actually modified the law required a two-thirds majority in both houses of the legislature. For a complete list of the bills and what they do, click on the link. Last Wednesday, legislators proposed using marijuana to treat opioid addition. A House of Delegates committee has added "opioid use disorder" to the list of qualifying conditions for medical marijuana use. The bill was set to be heard by the House Friday. On Tuesday, a bill to allow more license and increase diversity passed the House. The House of Delegates voted to approve House Bill 1443, which would allow five more licenses to grow and process medical marijuana. The bill is aimed at increasing minority participation in the developing industry, which the state's medical marijuana law explicitly calls for. "Passing this bill will show the country that this is not an issue that we're going lock African Americans and other minorities from participating in this business venture," bill cosponsor Del. Cheryl Glenn said before the House vote. "Less than 1% of the licenses held in the entire country are held by African Americans and other minorities. I'm very proud at the state of Maryland that we are passing this legislation. Nothing is perfect, but this is really moving us along the path of having a fair system in the state of Maryland." Last Thursday, the House fast-tracked a medical marijuana bill. Less than a day after the Senate approved a full-fledged medical marijuana bill, Senate Bill 386, the House has put it on path to quick consideration. The bill passed the Senate Wednesday, and on Thursday, the House voted to allow the bill to skip consideration by committees there and proceed directly to House floor debate. The move came in response to constituent pressure. "Like every member of this body, I can't count the number of emails and phone calls I received on this subject today," said Del. Mike Pushkin, D-Kanawha. 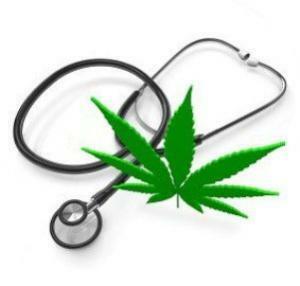 On Tuesday, the House approved the amended medical marijuana bill. The House voted to approve Senate Bill 386, which would establish a medical marijuana system in the state. The Senate passed the measure last week, but since it was amended in the House, reconciliation or a conference committee agreement must occur before it can head to the governor's desk.